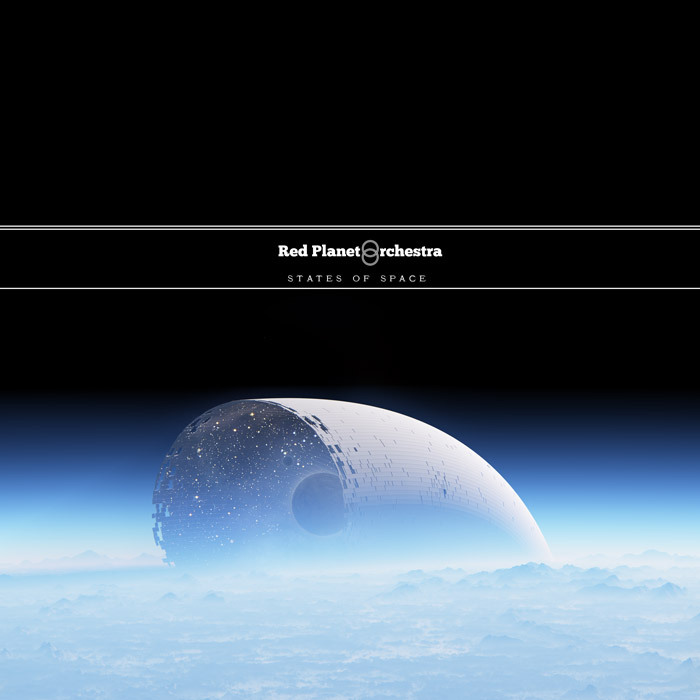 Red Planet Orchestra is the UK based duo of Vincent Rees and Peter Smith, and States of Space is their fourth album in the past year. The set consists of 5 tracks, two of them busting the 30 minute mark, for a full 95 minutes of music. I recall the early 70s albums with the lengthy epics like Tangerine Dream’s Zeit and Klaus Schulze’s Irrlicht, where the 20 or so minute limitation of an LP side clearly was a hindrance. States of Space demonstrates how the CD and digital worlds do seem to be ideal for allowing this kind of music to take off and explore without interruption. Aquinas and Blind Vision are both symphonies in space that are brimming with passion. The electronic string section leads the way, tailed by heavenly space-waves and rushing gusts of intense cosmic wind. I really do feel like I’m in some kind of floating symphony hall. Blind Vision is an epic stretch out track, with cosmic strings accompanied by a drone that could be interpreted as the horn section. It pulsates lightly between left and right channels, causing a not unpleasant throbbing effect (which is jacked directly into my brain under the headphones). Passions are riding high as the music soars, slowly rising and falling and tugging at the heart strings all the way. This would be perfect music for a movie scene where an astronaut on a space-walk is cut off from his ship, and the camera focuses on him (or her!) as he slowly drifts away. You can see my imagination is off and running. Ever and States of Space are pastoral ambient-soundscape excursions. We Breathe Together is the other half hour journey, being a meditative, gradually developing, floating space electronic trek. There’s no beginning, middle or end. No grand theme. Just put on the headphones and let the music do its magic. You’ll float away on your journey and feel the waves wash over you and the drones massage your cranium. All you have to do is enjoy the drifting, droning, ambient bliss. Nice..